I live in Stoughton, Ma and have used SSE Landscape for all of my Snow Plowing for the past 4 years. All I can say is Excellent and my yard is beautiful. Thanks Brian for the great landscape ! If your looking for Snow Plowing in Stoughton, MA you came to the right place. SSE Landscape Contractors began serving clients in the Spring of 1994. Starting from a one-man operation, the company now employs up to 10 talented individuals who all excel in their fields. They are here to provide you with quality products, excellent , and a landscape you can be proud to own. SSE Landscape Contractors has been providing their customers in Stoughton, MA with a professional and nurturing experience from beginning to end. From design to installation to protecting your landscape investment with our quality landscape management programs, we want your experience to be exciting and gratifying. Communication is the key to success in any long-term relationship. With our convenient location close to Stoughton, Ma. we are always nearby. We pride ourselves on keeping open lines of communication at all stages of your project. We look forward to building that strong relationship with you. 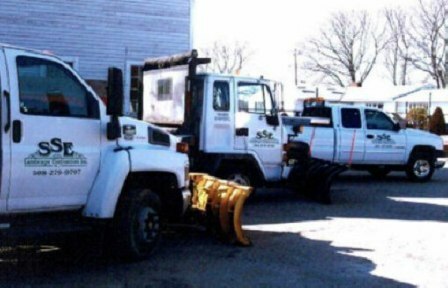 So for Snow Plowing in Stoughton, MA be sure to come and experience the outdoors with SSE Landscape Contractors.